Classic Soccer Title For The WiiWare Service! Soccer Up! for the WiiWare service is a throwback title that is very similar to soccer titles of the 90's such as Sensible Soccer and focuses more on arcade style gameplay rather then realism so is this a good thing or bad? Let's find out! Soccer Up has great arcade-style gameplay that is easy to pick up, but hard to master as you will learn that you'll need alot of practice to beat the cpu ai. The controls aren't explained in detail in the manual, however they are easy enough to learn on your own. 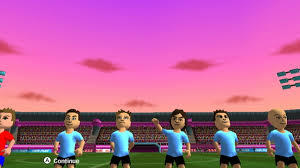 The addition of Mii support as well as a large selection of teams is a very welcome feature of this game and adds alot of enjoyment to this retro style soccer title! The menu's and options are very simplistic and streamlined as you'd expect and the pace of the in-game action is delightfully fast! The graphics in the game are simplistic, yet detailed and the character models and stadiums look very nice, but still retain a retro "cartoon" like feel to them. The sound effects in the game are nice, but can get repetitive, but the music is quite good. With great retro-style gameplay, challenging ai, and nice music, and superb graphics this title deserves to receive praise for what it provides to fans of classic soccer titles, but the controls should have been explained better in the manual. All in all Soccer Up! is a great game that we would recommend to any fan of the genre! This sounds like my kind of game. 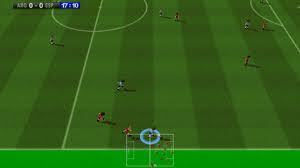 :-) I can still remember when Sensible Soccer was originally released, I used to play it a lot. I really like fun sports games, I used to play Super Tennis quite often on my SNES. 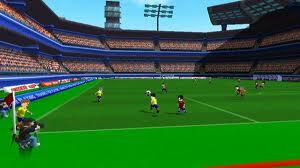 Soccer Up is just like Sensible Soccer so you would most certainly enjoy Soccer Up. Good review, this is much better than the atrocious reviews at a few websites, I think Nintendo Life actually gave this game a 1. 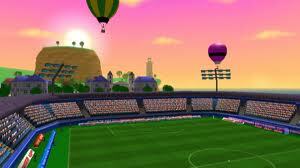 Soccer Up is a really fun game. Good review. Is this game really that similar to Sensible Soccer? This game is the best sports game on the Wii Shop channel you guys really need to download it if you still haven't yet! Um....nice review it is such a fun game to play with friends.